At Jean-Jacques Rousseau, we understand that a good education involves the whole child, thus opportunities beyond the classroom are an essential part of the educational experience. By providing opportunities to participate in activities that engage students in sports, arts (visual and performing), and expanded academic offerings, our students discover new ways of experiencing their world and develop individual strengths. Through individual and collaborative adventures, our students become active and vibrant members of the community. Develop communication skills through playful written and oral work, activities are in French and English. Provide a quality sports program through training, enabling students to discover new sports and improve athletic ability. Encourage openness to the arts through body expression, dramatic, pictorial, written, and musical interpretation. Sharpen critical and logical thinking. Read on to learn more about Drama Club, Soccer, Chess, Yoga, and Psychomotricity. Drama as a teaching technique – Knowing that the brain ceaselessly performs many functions simultaneously, therefore thoughts, emotions, imagination and predisposition operate concurrently. Thus, emotions and cognition cannot be separated. So, as a pedagogical process, drama can provide the means for connecting students’ emotions and cognition. With drama as a teaching technique, students’ own concerns, interests, and needs are recognized. The students will take risks with language and experience the connection between thought and action. Our drama program provides an active communication among and between the children, as well as with the teacher. The students work with the instructor and with each other to develop written dialogues (at a certain level). The parts are learned and the students become stars in their very own comedies and dramas. Usually a play performance is completed at the end of the school year. 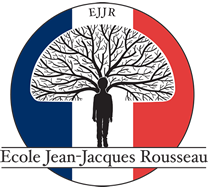 Ecole Jean-Jacques Rousseau offers a drama club for children age 6 to 13. A French drama club present learning a foreign language in a new and exciting light, and develop your child’s confidence speaking the foreign language spontaneously without the aid of books, through role-play and improvisation, while increasing his/her public speaking and confidence skills generally through drama. Eligible students must have a minimum of French proficiency to be evaluated by the drama teacher, if French is not their native language. EJJR Drama Club includes a fall session (October to December) and a spring session (February to May). Two plays are presented during the school year in December and in June. Drama Club is free of charge for EJJR Students. Students can enroll in the school drama club by email us at info@frenchschoolofaustin.org – Subject: Drama Club. L’école Jean-Jacques Rousseau propose aux enfants entre 6 et 13 ans des ateliers de théâtre francophones. L’occasion pour les enfants francophones, ou en cours d’apprentissage de la langue française, de pratiquer le français dans un cadre ludique et créatif. Le théâtre offre à chaque enfant l’opportunité de développer son imagination, de découvrir la notion d’espace scénique, et de s’initier à la prise de parole en public. Les ateliers seront divisés en fonction du nombre d’enfants inscrits et de leur âge. 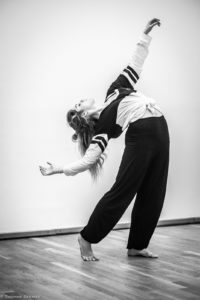 Modern dance classes promote the joy of physical expression, and the relationship between sound and music to movement. Our modern dance classes emphasize the creative and technical aspects of the art form. In this class, children are exploring the fundamentals of movement and dance, expanding their body awareness, their relationship with their surrounding and classmates, working on motivity and finding new ways of expression via creativity and physicality. The sessions offer a diverse and balanced approach to movement, encouraging the children to move together, to express themselves, to dare and challenge themselves and to create together. The classes are a mix of training, exploration, improvisation, composition and performance, providing an experience similar to fine art schools or conservatories in France. Classes include warm-up exercises to prepare the body for movement, and choreographic instruction that develops coordination, posture, strength, athleticism, imagination, and artistry. The focus is on the artistic potential of new dancers and their development and passion for the art form. Soccer develops agility, speed and stamina, and also teaches children the importance of teamwork, so it can play an important part in the child’s physical and social development. Soccer players need to be fit and agile. Most games require children to sprint after the ball and jog up and down the field, which are activities that build endurance and speed. Dribbling and shooting the ball develops agility and coordination. 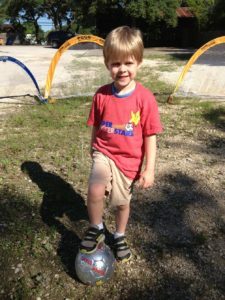 Ecole Jean-Jacques Rousseau offers soccer for a variety of ages and skill levels. Research shows that there is a strong correlation between learning to play chess and academic achievement. In 2000, a landmark study found that students who received chess instruction scored significantly higher on all measures of academic achievement, including math, spatial analysis, and non-verbal reasoning ability (Smith and Cage, 2000). 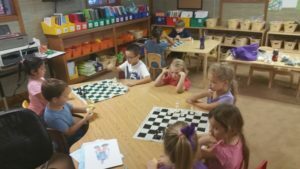 While studies have shown chess to have a positive impact on kids in elementary, middle and high school, an ideal age seems to be around second and third grade levels. Eight and nine year-old minds and thinking skills are developing rapidly, and chess teaches higher level thinking skills such as the ability to visualize, analyze, and think critically. Ecole Jean-Jacques Rousseau offers in classroom and after school chess classes. Classes are designed for beginning, intermediate and advanced students for elementary and middle school students. These classes provide training in chess while making the process fun, with skilled and engaging instructors and an eye toward personal growth. A routine yoga practice for children provides many physical, mental, and emotional benefits. Children gain awareness of their arms, legs, posture, and balance, and develop an understanding of their physical bodies as they move through space. A routine yoga practice builds patience, confidence, self awareness, compassion, focus, and physical strength. It can also provide stress relief. We practice Sun Salutations–also known as Vinyasas–in a “flow” sequence. This means that we gently move through several postures in succession, integrated with deep full inhalations and exhalations. The children become aware of how to move and breathe together. We tend to breathe too shallowly and to sometimes hold our breath without being aware of it. Having awareness of breath means more oxygen intake, which helps us have a healthier and more productive body and mind. After a Sun Salutations warm-up, we practice three to four additional poses. The children have to work to hold each pose for a few seconds while remembering to breathe. This gently stretches their muscles, tendons and ligaments. They may say, “Wow! I can really feel my leg working hard!” Or, “It’s stretching in my arm in a place I have never felt before.” This is body awareness. We finish class with an eyes-closed mediation. We encourage the children to think about an object, like a tree or a cloud, and this exercises their ability to calm their minds and practice focusing. It’s often a fun experience for them because there is no external input. They are left to just journey through the thoughts in their heads. This can be a very cool experience for them! Learn more about the benefits of yoga for school age children on the Harvard Medical School health blog.